Welcome to quadpartstore.com, your #1 shop for ATV parts, UTV parts, tools & much more. 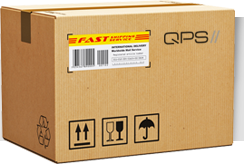 At QPS we make sure your items are packed safely & on their way to you the same day if ordered before 1pm UK (GMT) time. All the parts you need, at the prices you need with global dispatch, from our door, to your door. Free shipping for all UK orders & dispatched on the same day if ordered before 1pm. We also offer International postage with discounts.